[ Update 1st Feb 2016: given the popularity of this article we have come up with the Top 5 Best Bak Kwa in Singapore! Bak kwa is the sinful, delicious dried barbecued pork that Nanyang Chinese will consume without fail during Chinese New Year. 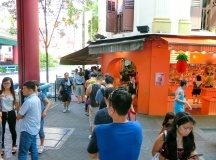 Originating from the Fujian province in China, the first bak kwa shop in Singapore, Kim Hock Guan, set up its first outlet in 1905. The local version differs from its Fujian counterpart in a number of ways – for example, it is sweeter and it is prepared by grilling over charcoal instead of being cooked over a hot plate. Lim Chee Guan has the most consistent and delicious bak kwa in Singapore right now. 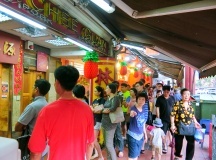 During the festive Chinese New Year period, expect to queue for upwards of one hour for their famous bak kwa at their main shop in Chinatown. Be prepared to wait for over an hour outside their main branch at New Bridge Road (Chinatown MRT Exit A). The pictures above were taken on Sunday afternoon, one week before Chinese New Year. 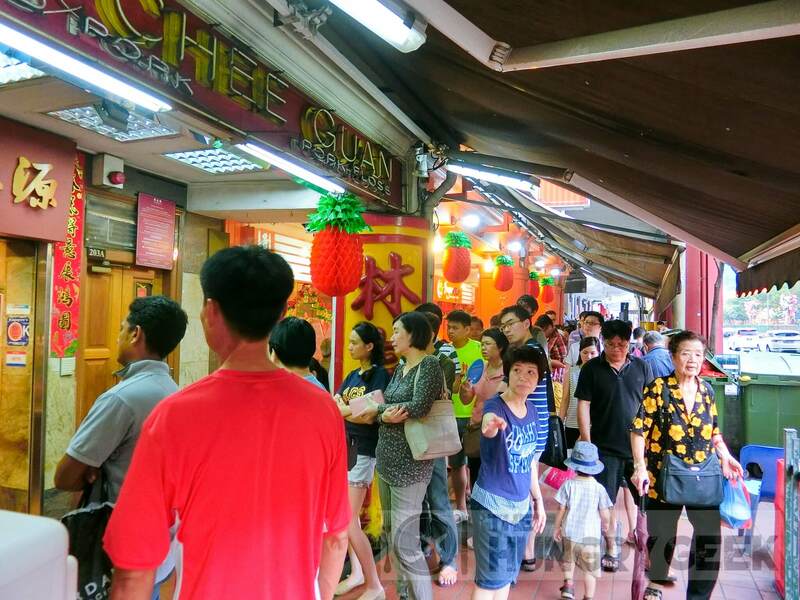 Here is our top tip to beat the queue, go to their other outlets at Ion Orchard and People’s Park Complex (Chinatown MRT Exit C), the queues there are much shorter than the main branch, and the standard of the bak kwa is pretty similar. 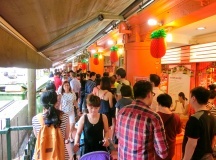 As usual, the price of bak kwa during the Chinese New Year period is massively inflated, and it is no different at Lim Chee Guan. The price is now S$56 per kilogram for their signature sliced pork, one week before Chinese New Year. If you’re willing to eat bak kwa outside of the Chinese New Year period instead, you can expect massive savings in price. Whether you get the sliced pork or minced pork versions, the most important characteristic of delicious bak kwa is super soft tenderness. Most of the famous and well known chains have got the taste down, but they are extremely inconsistent when it comes to the toughness of their bak kwa. As someone to consumes upwards of 10kg of bak kwa a year from all the different sellers, I always groan when I bite into a bak kwa and find it rubber tough. Lim Chee Guan has never let me down in this regard. They do not carry minced pork but their signature sliced pork is super soft and tender! If you purchase their delicious bak kwa from their main shop at Chinatown, so far I have a 100% satisfaction rate over all the years. On the other hand, certain other chains will disappoint approximately 50% of the time. Lim Chee Guan’s bak kwa has also a distinct delicious fragrance that is a tad sweeter than the norm. The result is the ultimate bak kwa in Singapore, with super soft and tender bak kwa coupled with an addictive delicious taste. Please eat this in moderation, it is addictive enough to finish upwards of 3 slices each time. We rate this super addictive bak kwa 4.6/5. 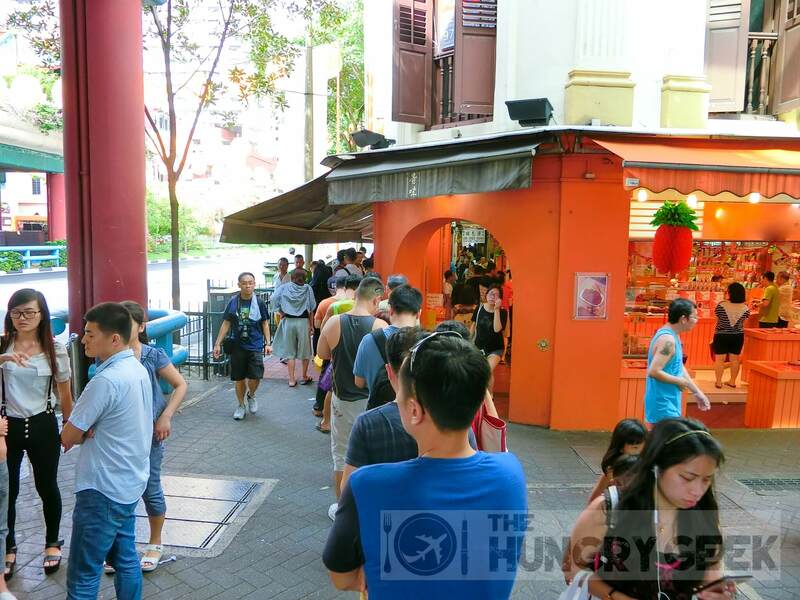 As food hunters we went down to sample virtually all the famous bak kwa in Chinatown. The famous names that we tried include Kim Joo Guan, Kim Hua Guan, Kim Hock Guan as well as the Bee Cheng Hiang and Fragrance chains. We can tell you with our usual subjective certainty that Lim Chee Guan sells the best bak kwa in Singapore, and it is not even close. Their bak kwa has the best tenderness coupled with the most delicious taste. So we can say that you will not be disappointed with the bak kwa at Lim Chee Guan. 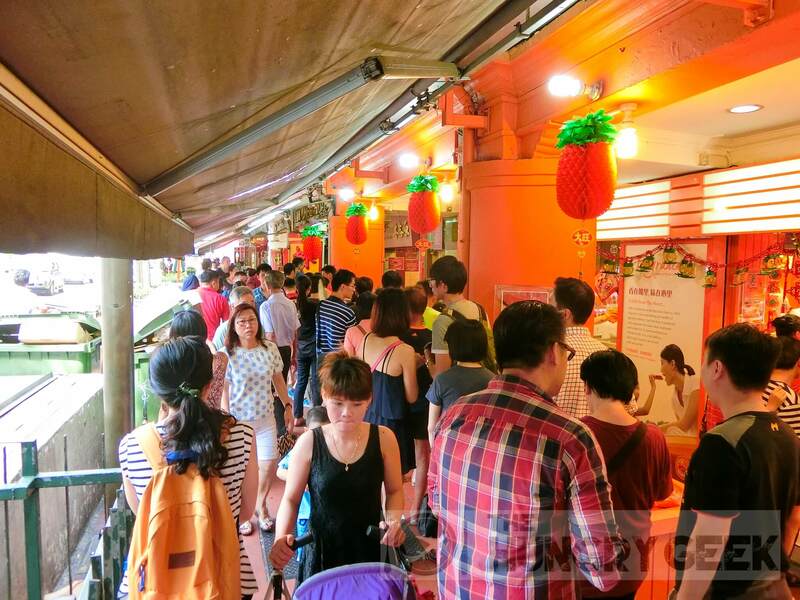 As a tip though, you may wish to consider consuming your yearly bak kwa intake outside of Chinese New Year – that is the only way that you will avoid the ridiculous long queues outside this famous bak kwa stall.